Image: Chelsea Lauren/Shutterstock, Nina Prommer/EPA-EFA/Shutterstock, Jordan Strauss/Invision/AP/Shutterstock. Design: Ashley Britton/SheKnows. Award season is in full swing, and while we’re all waiting to see which stars will add statues to their mantles, we’re also tuning in to see what they’re wearing. 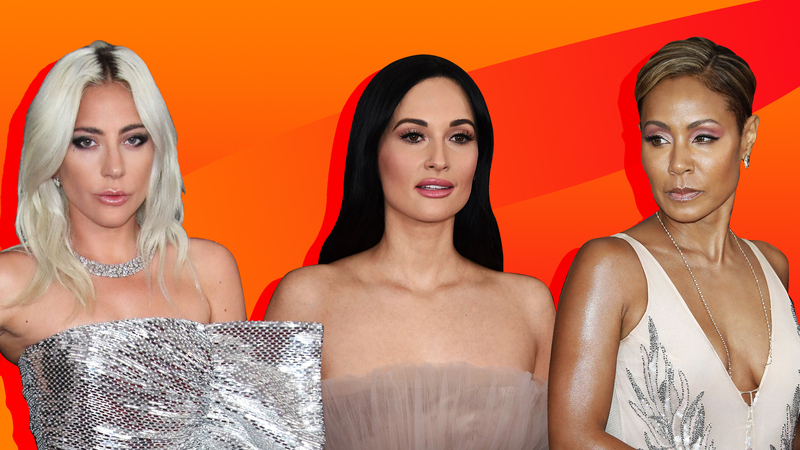 And when it comes to Grammys 2019 fashion, we’re so ready. The Grammy Awards are arguably one of the most out-there as far as red carpet looks go. Celebs often opt for bolder ensembles that don’t hold back. From Jennifer Lopez’s iconic low-cut green Versace number to Rihanna’s pink cupcake gown, the music-celebrating ceremony has given us so many unforgettable moments. Anything goes, and over-the-top is appreciated. This year, Miley Cyrus killed it in a chic suit. We also have to give a serious shout-out to Kacey Musgraves for taking sartorial choices to the next level in an ethereal blush gown. And what would this award season be without Lady Gaga? Her meat dress days are long past their expiration date, and now she’s all about glitzy glamour. Here are some of the evening’s fashion high notes. Musgraves can do no wrong if you ask us, and her Grammys gown proves no different. The country singer, who is nominated for an impressive four Grammy Awards this year, hit all the right notes in a blush tulle gown with a contrasting belt and fanning bodice. Va-va-voom! “Havana” singer Camila Cabello chose a shimmering, body-hugging fuschia gown for the evening. We particularly love the contrast of the low back with a high neckline in the front. Alessia Cara managed a perfect mix of both youthful and a little edgy, thanks to a black macrame-style dress with see-through swathes. The floral medallions in particular keep the look sweet. “Meant to Be” singer Bebe Rexha said going into the Grammys that she was going for a princess look. Mission accomplished! She looked like a fairytale in a crimson dress with cascading layers of tulle. Miley Cyrus (or should we say Miley Hemsworth?) looked all grown up and gorgeous on the Grammys red carpet in a chic black pantsuit. Her long, loose waves and minimal jewelry imbued the ensemble with a laidback vibe. The Good Place‘s Jameela Jamil wowed in a floor-sweeping red-and-coral gown with a sweetheart neckline. And that matching lip? Love it. Today, in further proof that Jada Pinkett Smith is aging in reverse, we submit her absolutely flawless Grammys choice. The feathered dress, the strappy stilettos, the delicate jewelry… the entire look manages to look sophisticated yet unfussy. A star may have already been born, but Lady Gaga truly shone at the Grammys in a sequined metallic gown with a side ruffle. The platinum hair (literally) enhanced the gown’s hard-rock style. Talk about a throwback. Andra Day’s purple fringe frock is giving us over-the-top mod ’60s vibes in the best possible way.